When it comes to subjects that interest me, like writing and photography, I have a strong sense of perseverance. If I’m lacking creativity, my mind like a cloudless sky, I’ll sit there until an idea forms. I’ll look around my room for inspiration for an essay, or do whatever it takes to capture a certain photo – whether that means laying in the soil and ruining my clothes, or snapping shots the whole afternoon. But when it comes to manual labor? It’s not natural for me to be motivated, and I have to concentrate hard on being dedicated. It’s not that I can’t contribute, or don’t want to help. It’s just hard to convince myself to tough it out, especially if it’s cold or I’m feeling tired. Two years ago we decided to remodel our backyard, all on our own. We lifted up all the sod, carried in large slabs of stone, and sifted through the gravel and dirt like human colanders. I helped, but not very enthusiastically. I complained more than I should have, and my motivation wore out far before my physical strength. Still, in spite of all that, I do like to try new things, and I am always excited for exposure to new experiences. So when I had the opportunity to visit Jubilee Farm with my classmates, I agreed, even though it would mean waking up early and completing farm chores in the morning. I left my house that day at 8 AM, wearing four layers and some rubber boots. Frost seemed to form on my eyelashes on the drive to the farm, it was so cold. I traveled further and further from the city, and soon gray office complexes and fast food joints were replaced by stripped, leafless trees barely discernible through the fog. I passed grazing cows in icy pastures, small houses trimmed with Christmas lights, and a steely-blue river. There was a beautiful simplicity about the small town I passed through, and I drank in the country scenery as the car warmed up. When I pulled up next to a large white barn with the words “Jubilee Farm” cheerily painted in green, I felt ready to be a farmer for an afternoon. But the moment I stepped out of the car, the blustery wind swept through my jacket and under my sweater. My nose started to run and my fingers blushed blue. As my classmates and I shivered in our boots, waiting for the tour to begin, any desire I had to do some physical labor flickered like a candle, and then blew out completely. I just wanted to be warm again. It took an effort to walk towards the barn, and I had no idea what kind of work I’d be asked to do. I told myself, resolutely, that I would do my best to be a good-spirited and helpful guest at the farm, even though I wanted nothing more than a cup of cocoa and a blanket. We met the man who runs Jubilee Farm, E-. He had an easy smile and a youthful attitude, and I was surprised to learn that he’d been farming for over 20 years. Jubilee Farm is organic and nearly 100% sustainable, a rarity in many places these days. E- described Jubilee Farm’s “this much, not more” policy, rather than the “more, more, more” motto of some agricultural businesses. His voice made his love for his work tangible, and his excitement gripped me as strongly as the cold. I could see that he farms not for financial gain, but for a satisfaction that money simply cannot provide. E- was passionate and well-spoken, citing quotes from philosophers, farmers, and social activists from memory to explain his outlooks. After a quick tour of Jubilee Farm’s cropland and cow pen, it was time for us to get to work. I joined a group that walked down to Jubilee’s vegetable patch, located right next to E’s own home and underneath a vast gray sky. We pulled on work gloves and were asked to help harvest and prepare rutabagas. The leafy green tops of the rutabagas stuck out of the ground in neat rows, and E’s wife showed us how to pull the stems up like a mandrake, revealing a round white vegetable underneath. Though I wore gloves, my hands felt numb as I reached for the first one. Rutabaga – even the word itself has a roundness to it, a heaviness. I closed my fingers around a plant, and ice seeped through my gloves. With a surprisingly strong grasp, I yanked the rutabaga up with a pop. I was filled with a curious satisfaction as I held it in my hand, knowing that I had pulled it from the earth – beautiful, delicious, organic nourishment. I set it down and returned where I left off, eager to unearth another. Before I knew it, the hour was up. I had grown so warm that I’d shed my outermost rain coat and fleece zip-up. I uprooted the last rutabaga and breathed deeply, exhaling little warm wisps of air. The sun had finally come through, and though my cheeks were rosy and my gloves soaked through with freezing icewater, I hadn’t stopped working. Although I think I’m ultimately a city person, there is such a charm about the country. At Jubilee Farm, I felt like I could keep going on for hours. It wasn’t just that I had warmed up and moved easily, or that my friends were there working alongside me. Instead, using my muscles and the land effectively provided a sense of contentment. For once, it felt good to use my hands. My head seemed clearer, my mood lighter. I felt like I’d accomplished something in the past hour, and with new eyes I swiveled my head to gaze at the postcard-scenery all around me. Ever since I got my license in June, I’ve wanted to drive myself as much as possible. Even though I don’t have my own car, somehow it feels amazing to be able to say, “Hey – I think I’m going to drive to the library and return these books, okay? Be back in a few minutes.” For me, getting into the car, listening to music, and knowing exactly where I’m going to go gives me such a strong sense of freedom and contentment. I don’t know if adults get this feeling since they’ve been driving for so long. But I really love driving at night, where I follow every curve in the road perfectly and feel comfortable and smooth. And it almost makes class worth it to drive to school in the morning, listening to the radio and taking the route so familiar I could do it with my eyes closed. And I hope you all still enjoy this, but I love parking the car. It’s such a good feeling to step around the back and see that I’ve parked exactly in the center. Don’t you get happiness from walking away, locking the car with the click of a button and a satisfying beep? I don’t have my own car, and even though I get to use mom’s whenever available, I still pine for my own. It means I could drive home instead of taking the hour-long bus ride, and it means I wouldn’t need to depend on my friends. Half the time I think I should take all the money I made over the summer and just buy one. The other half of the time I tell myself the money could be used for a vacation after senior year, like for the road trip my friends and I are planning for next summer. But for now, I just make excuses to drive the car we have. Sure, I could walk, or maybe I could let mom drive, but I need to get practice, right? Especially after I was late to the driving scene. Most of my friends went after their licenses at 16, but I waited. So after months of guiltily asking for rides or walking to the bus stop while my friends walked to the parking lot, it’s nice to do it myself. But sometimes, you really need to be in the passenger seat. One of my oldest friends, C- turned 18 last weekend. He is an incredible cellist who plans to pursue music professionally. For his birthday I knew I wanted to make a cello cake. He doesn’t like chocolate, so I played with my favorite swiss buttercream to try and get it brown without cocoa powder. Peanut butter, maple syrup, coffee, nothing produced the right hue. So I put in as little cocoa powder as possible while still ending up with a woody brown frosting. I used my go-to white cake and did all the baking the morning of. Like always when I make shaped cakes, I found a picture of a cello on the internet and cut the cakes appropriately. I baked cocoa and vanilla shortbread to make the neck and various parts of the cello. Finally, I used gel icing to pipe the f-holes and the strings. Five hours later, I was looking at one of the coolest cakes I’d ever made. I was home alone, and the original plan was to drive with the cake in the passenger seat. Unfortunately, this unusually shaped cake didn’t fit into any of my cake carriers and I was at a bit of a loss. The cookie neck of the cello proved extremely brittle, and finally I bitterly concluded that I just could not drive there myself. I called four different friends, and only one was available to pick me up, and that was J-. J- was one of the first to get his license and car, but despite the experience he’s a bit of a reckless driver. He isn’t dangerous, but he resents stop signs and considers speed limits more like suggestions. He has a tendency to make sharp, unexpected turns and step on the brakes without warning. I wasn’t worried about getting into an accident, but I couldn’t help but picture the cello cake splattered all over my shirt, or a thick coat of frosting on the glove compartment. Although I got a little frosting on my fingers, we managed to transport the cake without damage straight to the kitchen. C- and everyone else there was blown away by the cake, and laughed as they tried to picture J- practicing defensive driving. Somehow I get the feeling he won’t be driving so slowly again for a long, long time. After an afternoon in the park and the take-out Chinese, C- cut the cello and ate the f-hole topped slice. He ended the night with a performance with his real cello, and I accepted a ride home with a smile on my face and yummy cake in my belly. Pumpkins, cinnamon, vibrant leaves, and my favorite red rain boots – there is everything to love about fall. Along with the drizzling rain and the brisk, crisp chill sweeping into Seattle comes school, but also fresh starts and new love. A love in the form of Swiss Buttercream. The photos in today’s post are a few paid orders from the summer. Because time was an issue and setting up photos was not a priority, they are not my most beautiful shots, but I’m still happy to share them with you. And the one thing they all have in common? They are frosted with a silky, light swiss buttercream that I am head over heels for. It makes me swoon. It’s sweet and velvety and also a dream to work with. I’ve never frosted a cake so smooth. Buttercream has always been elusive for me. I’d tried making a classic buttercream once, but something went wrong between heating the sugar and whisking the eggs and I ended up with a big mess. That seemed to scare me from buttercream ever since, and I just stuck to powdered sugar frostings. Not anymore! I made… wait for it… six batches of buttercream in the past two weeks. 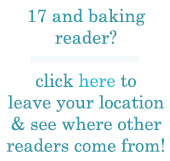 Which sounds like a lot, and then I did the math and realized that I baked 13 cakes this summer, including 7 paid orders! Baking paid orders is so different than baking for fun. For one thing, it’s a lot more stressful. Failure when I’m baking for fun or experience is merely disappointing, and frequently entertaining. Failure when I’m charging somebody for it makes my insides curdle faster than my first buttercream. I worry about taste, appearance, and getting the order right – after all, it’s a purchase. It’s hard to say if I truly enjoy paid orders. On the one hand, I am creating cakes I would have never made on my own. I cut out interesting shapes, learn new techniques for decorating, and even try new frosting recipes. For the same reason that I love being a Daring Baker, I like the challenge each paid order presents and the new ingredients, tools, and skills I acquire. And the feeling when I know the client has gotten exactly what he or she wanted, is amazing. When the client arrived to pick up this bowling cake, she saw the pin first and gasped. It’s genuinely thrilling, and it makes me want to do nothing but make customers happy. On the flip side, I stress like Robert Irvine on Dinner: Impossible. I always wake up before 8:30 that day, to make sure I have enough time to work and start over if necessary. If the cake is drier than expected or something doesn’t go according to plan, even though I know how to fix it, it’s difficult not to feel anxious. When I don’t like the final result, my hands actually shake as I transfer the cake to a platter and my stomach tightens uncomfortably until the moment I feel certain the client is satisfied. Somehow, when my whole body relaxes and I begin to gather the dishes, it feels like the whole morning was worth it. It’s not about the money, but something so much more important than that. Monday was my first day of school. This year I’m taking some fascinating classes and will be participating in a fantastic internship. It’s been a long week, and a busy one. My school doesn’t offer a cooking class and my teachers haven’t hesitated to assign homework even in the first few days. The result? I haven’t had the opportunity to spend as much time in the kitchen as I’d like. It’s jarring to be suddenly thrown back into the world of lectures, lengthy homework assignments, and commitment. While I would never sacrifice my responsibilities for my hobbies, all of you know I would also never stop blogging no matter how busy I got. While I might need to put paid orders on hold, baking and blogging is my passion. SAT prep classes, college applications, and warm autumn flavors… I welcome fall with open arms, sharpened pencils, and a satisfied stomach.